Saturday morning our sweet Milkshake just wasn’t herself. She was up almost two hours in the middle of the night, refused to be put down, had a runny nose, low grade fever, wanted to nurse non-stop and wouldn’t smile or blabber. It just wasn’t like her. She finally took a nap in my arms suckling every few minutes, and when it came time to leave for music class and she was still sleeping I decided it was best for us not to go this week. I figured she was teething, and applied lavender oil to her gums and gave her some Advil. She took her second nap and woke up much happier and we enjoyed a nice lunch out with the family (my BIL was in town from California, and my FIL is here from Nigeria). My MIL watched Logan while we went to a friends wedding, and she had a great night. Logan woke up happy Sunday morning but when we changed her diaper we noticed three small bumps had turned in to about 20 large blister-like bumps. It didn’t seem to bother her, and I know a diaper rash is often the result of teething, so we applied diaper rash cream and continued with our morning. She had the same behavior as Saturday morning so we took her on a few walks to enjoy the fresh air. 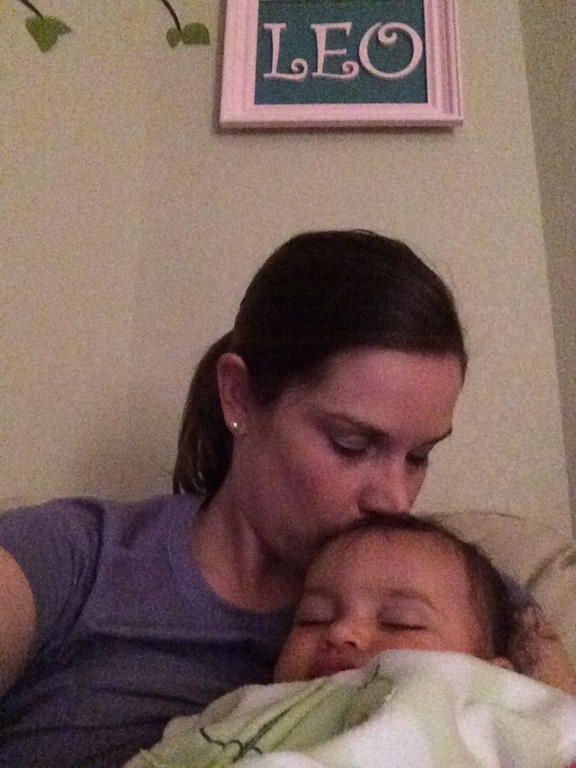 It came time for nap time and my heart almost broke…she wouldn’t nurse. Not.At.All. For as much as we struggled in the beginning I panicked…I am not ready to be done breastfeeding. Not just yet, please. I text my sister and was very concerned and she told me to look up ‘nursing strike’. Ugh, this won’t be fun but MommaE wasn’t giving up, and Logan still wanted to try to nurse, then bite (OUCH!) then flail about and cry. She ended up falling asleep for both of her naps without nursing and she wasn’t crying in hunger. Then it hit me, there was a note on her classroom door at daycare about hand foot and mouth disease. Me and the Hubs googled it and Logan had every symptom, except a rash on her hands or feet. What really stuck out was babies often lose their appetite, or don’t eat because of painful sores in their mouth. THAT explains her strike, and it could very well be teething, too. 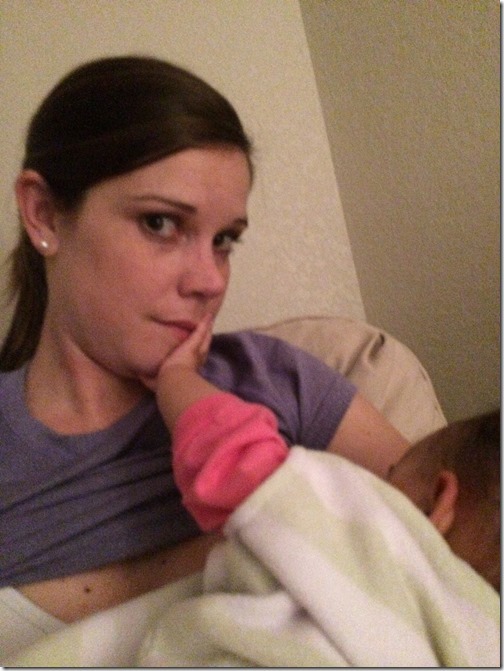 I was still very sad but was going to follow all the suggestions to continue to offer her my breast at every feeding. She nursed! Yay! I was so happy, and then I held her and snuggled her just a little longer. Sweetest Frogger Schnitzel Milkshake ever! Poor girl! I hope her rash is getting better today and she’s extra cuddly for you.